Carolyn grew up in the Demorest area and attended Habersham public schools until Berry College (Rome, GA) where she graduated with a degree in Home Economics Education. 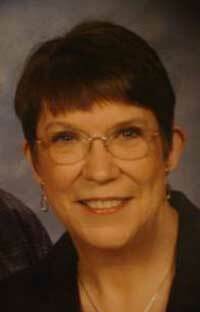 She taught Family and Consumer Sciences for over 27 years. Carolyn taught in Lowndes High School, Valdosta, for 19 years and earned her Masters of Education at Valdosta State University. She retired from teaching at Lumpkin County High School, Dahlonega, in 2006. A love for paper crafting began when Carolyn was very young. Her earliest memories of paper and glue are when she would visit her aunt and make a Valentine Box to take to school for the annual Valentine’s Day Party! What a delight to create something beautiful from a shoebox, white tissue paper, red construction paper, scissors, and white glue! When she retired from teaching in 2006, she began paper crafting full time. Carolyn currently teaches paper crafting classes at the Old Clarkesville Mill, the EAGLE program at the Nacoochee United Methodist Church, and other paper crafting events. She is also a volunteer at the Lee Arrendale State Prison teaching card marking and paper crafting in the Mental Health Therapy program. Carolyn is married to Joe Lineberger. They have 3 children and 2 grandchildren. Carolyn and Joe reside in the Clarkesville area and attend Bethlehem Baptist Church.